So I have been pretty quiet lately. I am in full preparation for my second attempt which is not in a so distant future. Since my first attempt I have not been doing any Vol2 labs I am focusing on Vol1 type scenarios mostly creating my own scenarios for features I want to test the behavior of. When doing labs it is easy to get into a mindset of finishing x amount of labs in z amount of time and when you get a hickup you don’t spend enough time troubleshooting it because you want to finish the labs you had planned to do. This is dangerious behavior and will lead to not having full understanding of topics and also your troubleshooting skills will be lacking. That is why I have focused on some topics and made sure I learned them as well as I can and not stop when I meet some obstacle. This is time consuming but a great learning experience. This is also a good way to improve on your troubleshooting skills. My main focus now for the remainder of the time until the lab will be focused on troubleshooting scenarios. This is how I plan to do it. I am writing a document with different topics like Layer 2, frame relay, RIP, EIGRP, OSPF etc etc and for each technology I break down what is needed to make it work, how to recognize errors and what are the options to mitigate these errors. For the troubleshooting section of the lab it is very important to know how each feature works and what are typical ways of making the feature break. So I am mostly creating my own isolated scenarios which means I have to configure the feature first and then I break it. This gives practice in both configuration and troubleshooting. Here is a brain teaser for you. 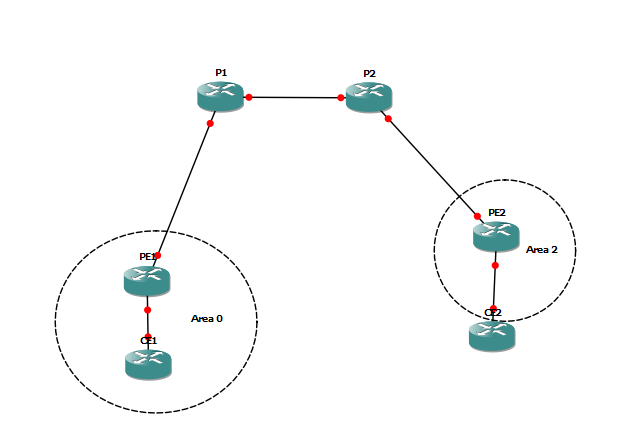 Configure frame relay on two routers where one routers uses Cisco encapsulation and other side is using IETF encapsulation. Either do it back to back or in my case I used a frame switch. When pinging between devices what will the result be? Why?